New York, NY - Acquavella Galleries is pleased to present The Worlds of Joaquín Torres-García, an exhibition comprised of over sixty paintings, sculptures and works on paper from 1896 to 1949. Drawn from the private collection of the family of the artist, this group of works has never been exhibited as a whole, although individual pieces have been loaned to major museums across Europe and South America. This show represents the largest and most comprehensive survey in an American gallery since Joaquín Torres-García curated his own exhibition at The Sidney Janis Gallery in 1950. Best known for his semi-abstract paintings of universal symbols that emphasize the contrast and synthesis between "classical" and "modern" beauty, Torres-García defies easy categorization. 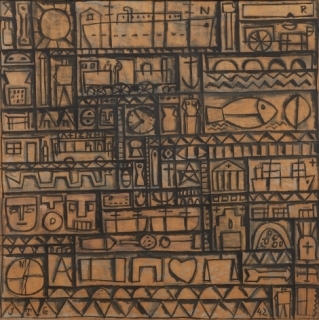 This exhibition demonstrates his protean reach as an artist, pushing not only the boundaries of abstraction but also bringing modern vitality and innovation to landscape, cityscape, and portraiture, themes that preoccupied him throughout his working life in Barcelona, New York, Paris, Madrid, and Montevideo. 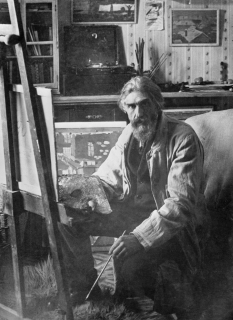 Born in Montevideo in 1874, Torres-García moved to his father’s native Spain in 1891. As a young artist in Barcelona, he achieved early success painting murals for the Catalan Government and working with Antoni Gaudí on the Sagrada Familia Cathedral. After visiting Paris—where he met with Pablo Picasso and his former student Joan Miró—Torres-García arrived in New York in 1920 as a pioneering modernist. Exhibiting with Marcel Duchamp, Man Ray, and Stuart Davis at the Whitney Studio Club and the Society of Independent Artists, his work was bought by Katherine Dreier and Gertrude Vanderbilt Whitney. A fully illustrated hardcover catalogue will accompany this exhibition and will include a critical essay by the distinguished art historian Tomás Llorens Serra, former Director of the Reina Sofia Museum in Madrid and the Thyssen-Bornemisza Museum in Madrid, in addition to a text by Abigail McEwen, Associate Professor and Director of Undergraduate Studies at the University of Maryland. The book will also include a fictional short story, “Lives of the Artists,” by the award-winning writer Frederic Tuten, author of Tintin in the New World and Van Gogh’s Bad Café. Acquavella Galleries' exhibition of the Uruguay-born Modernist is a primer for the unitiated and a treasury of rarely seen gems. The Upper East Side — the area called "above East 50th Street" on gallery apps like See Saw and Artforum — is thriving. It’s also experiencing an art-fair effect, with international galleries opening project spaces or satellite galleries in a highly concentrated area: where collectors and curators stay when visiting New York. 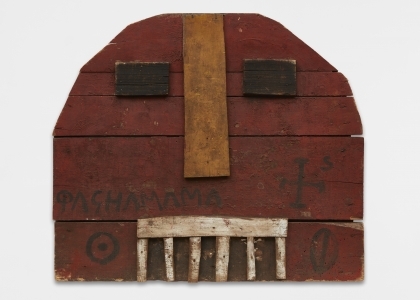 The galleries that have opened additional spaces on the Upper East Side in recent years include Almine Rech, Boers-Li, Clearing, Galeria Nara Roesler, Galerie Buchholz, Mendes Wood DM and, next month, Kurimanzutto, from Mexico City. I chose shows that were viewable at the time, and I could have provided a list of another 10 galleries just as strong — and another 10 after that. Here is what you can see right now. ACQUAVELLA GALLERIES through May 25; 18 East 79th Street, acquavellagalleries.com. The most traditional European gallery experience can be had at Acquavella Galleries, housed in a French neo-Classical-style townhouse. 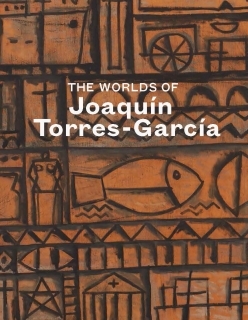 “The Worlds of Joaquín Torres-García” offers a survey of the work of this Uruguayan-born artist (1874-1949), who lived in Paris and New York during vital creative periods. A collage with a label for bullion “en cubitos” playfully shows off his Cubist knowledge, while a pair of painted overalls titled “New York Suit” (1920s) feels very New York Dada. The rest of the gallery has paintings made of grids filled with images of architectural fragments and symbols from history, various religions or perhaps dreams.